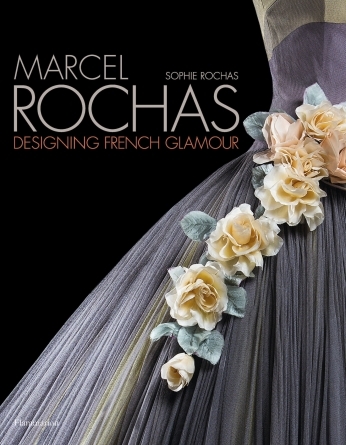 The first fashion monograph on Marcel Rochas, a key twentieth-century women’s wear designer, written by his daughter. Fashion designer Marcel Rochas (1902–1955) made considerable and enduring contributions to the world of fashion; his legacy has inspired a range of contemporary designers. 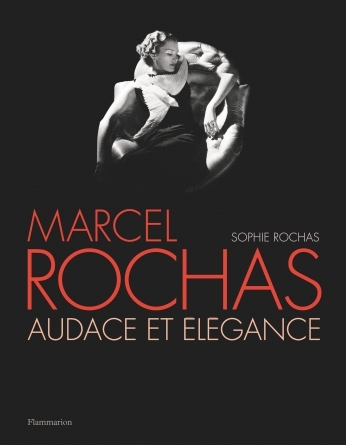 In this lavish monograph, his daughter, Sophie Rochas, provides an intimate first-hand account that includes her childhood memories and rare access to the family’s private archives. She provides insight into her father’s talents as an innovative designer, communications genius, revered socialite, attentive father, and demanding husband, as well as the style influences that inspired him.Rochas’s trademarks included exaggerated shoulders, the wasp-waisted bodice, a strapless girdle that defined the female silhouette of the ’40s and ’50s, a judicious combination of fabrics, contrasting prints, his Sirène gown, and the Oiseau dress. His myriad creations were favored by many starlets, including Carole Lombard, Marlene Dietrich, Mae West, and Danielle Darrieux, both on-screen and off.This lavishly illustrated work includes family photographs, portraits by the great fashion photographers, his iconic perfume bottles, and his most significant women’s wear creations. During his thirty-year career, he opened two couture houses, employed an army of workers, and created innumerable pieces that have since become milestones in the history of women’s wear.